Proficient computers are in high demand for work and personal projects. Still, not all users keep their devices in shape. 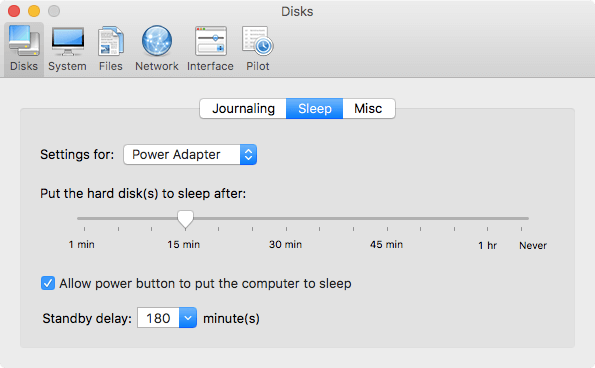 If not properly serviced, Mac’s limited storage capacity may result in the ‘startup disk full’ issue. Cleaning your Apple computer is important to ensure its efficient performance. Mac owners doubt the necessity of using alien applications to service and maintain their machines. Third-party apps are claimed to be the cause of all performance issues. However, owing to a plethora of useful functions, the trusted software can do more good than harm. 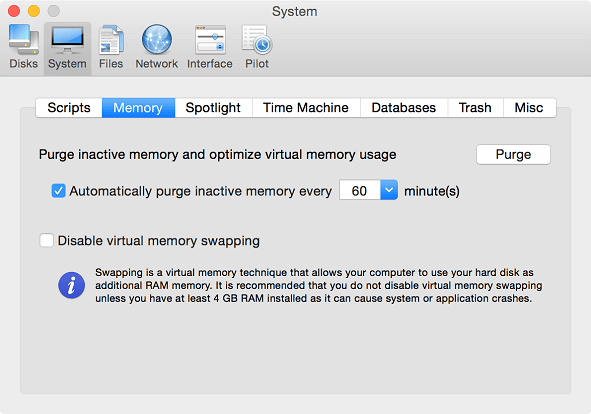 Looking for a general purpose application for Mac cleaning, repair, and optimization? Tired of reading similar app reviews? Trying Cocktail may seem like a great idea after reading this one. Cocktail is a multi-purpose optimization tool developed by Maintain, a trusted software development company from Sweden. Whether you use Mac OS X 10.9 Mavericks or macOS 10.13 High Sierra, there is a software version to meet your requirements. Cocktail can be used by enterprises, educational facilities, and regular Mac owners for running trivial maintenance procedures on their computers. Read on to learn more about the features offered by Cocktail. Business License for up to 100 enterprise computers – $299. 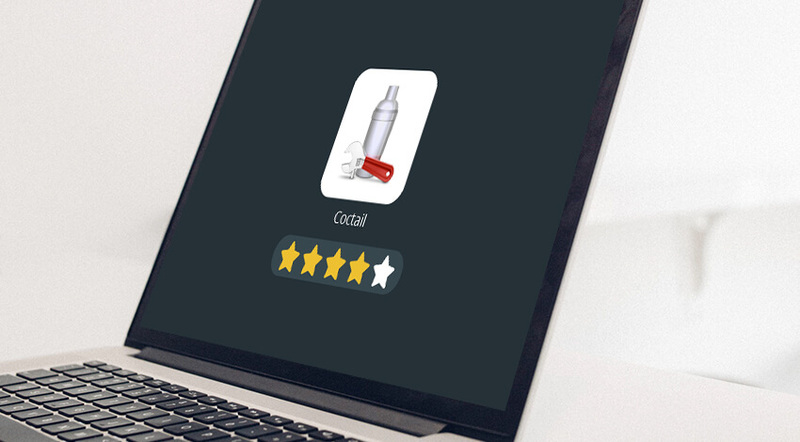 Cocktail offers Mac users a top-notch maintenance toolkit lodged in a user-friendly and clean application interface. All features are grouped into five categories: Disks, System, Files, Network, and Interface. Also, there is a Pilot mode that runs background checks and scheduled maintenance tasks. The Disks section is used to monitor the state of your Mac’s disks. Users can find a set of useful tools allowing to check the disk S.M.A.R.T. status, fix disk repair permissions, modify disk sleep settings, enable/disable journaling, etc. If your Mac contains a CD/DVD drive, the app can even force-eject a disk! The System section provides a set of useful maintenance and optimization features. With its help, you can remove Trash, optimize RAM, schedule the launch of periodic maintenance scripts, modify the Time Machine settings. Apart from that, the System toolkit can erase and rebuild the Spotlight indexing. Users can disable Notification Center to get rid of annoying alerts as well as set up the App Nap. All in all, you can do the majority of system maintenance procedures from a single utility window. The Files section comes packed with a set of instruments meant for a thorough Mac cleanup. 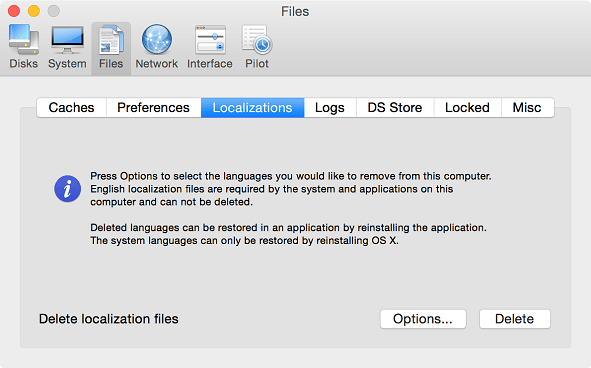 Users can get rid of the temporary files, logs, and caches, delete corrupted files, unneeded localization resources, etc. All it takes is a single click to perform a comprehensive Mac cleaning. The Network section contains a toolset to optimize your network settings, IP configuration parameters, file sharing preferences, etc. The settings stay intact every time you boot your Mac computer. The Interface section allows configuring a plethora of preferences. Users can customize the look and features of the Finder and Dock, alter the hidden settings in Safari and Mail, change login preferences. 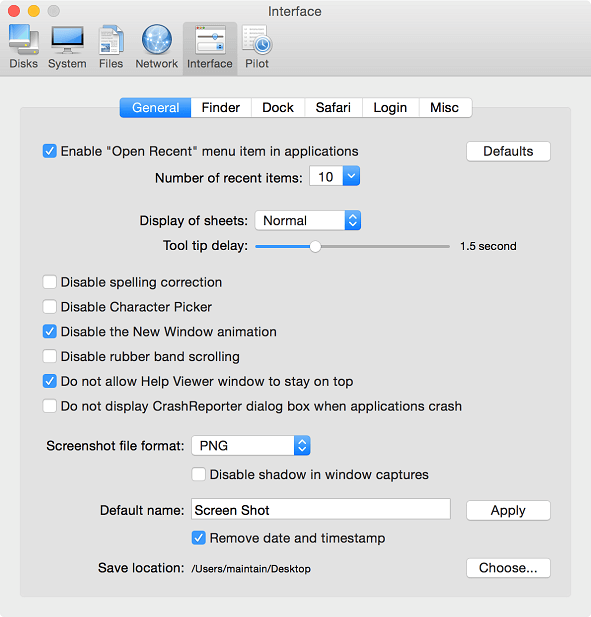 Apart from that, it is possible to access the recent menu items, specify the settings for crashed apps, set the screenshot file format and location. The Cocktail app allows tweaking all necessary interface preferences in a single window. The Pilot feature in the Cocktail app is a universal helping hand. It allows scheduling and modifying settings for routine maintenance tasks. All it takes is to specify the tasks, the execution time and frequency; the Pilot handles all the rest. The feature operates in the background like an “autopilot” to run the system maintenance tasks. Pilot requires the minimum user involvement, so there is no need to switch it off and on all the time. Cocktail for Mac has an easy and intuitive installation and download. When launching the app for the first time, it may require an administrator password. As soon as you authenticate, the main user interface will launch. 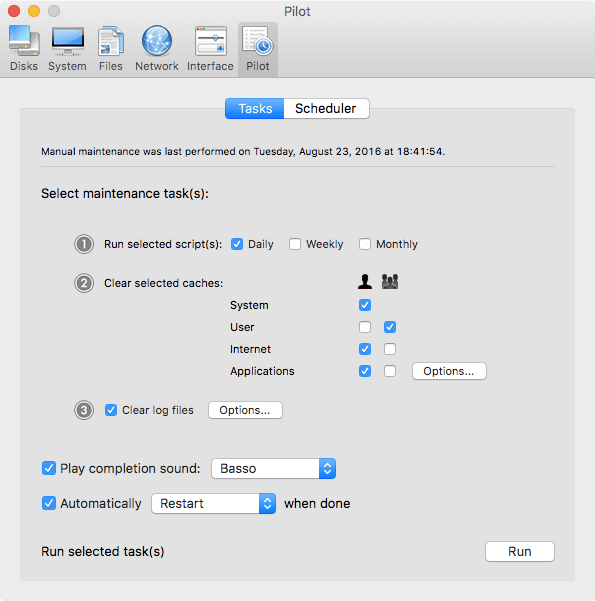 Mac users are recommended to set up the Pilot section first for scheduling the maintenance tasks. Cocktail is award-winning software used for Mac cleaning, repair, and maintenance for almost a decade. The app has come a long way to establish this respectable status. Each subsequent app version for Mac OS X Lion, El Capitan, Yosemite or macOS Sierra and High Sierra would acquire a set of innovative features to meet various user demands. For instance, Cocktail 5.3.5 for OS X 10.7 Lion addressed Safari compatibility issues. Also, the preference file scan and the Pilot scheduler were improved. In the meantime, Cocktail 9.7 for OS X 10.11 El Capitan added a one-click system maintenance option, improved the Internet cache clearing procedure, updated Automator actions, etc. 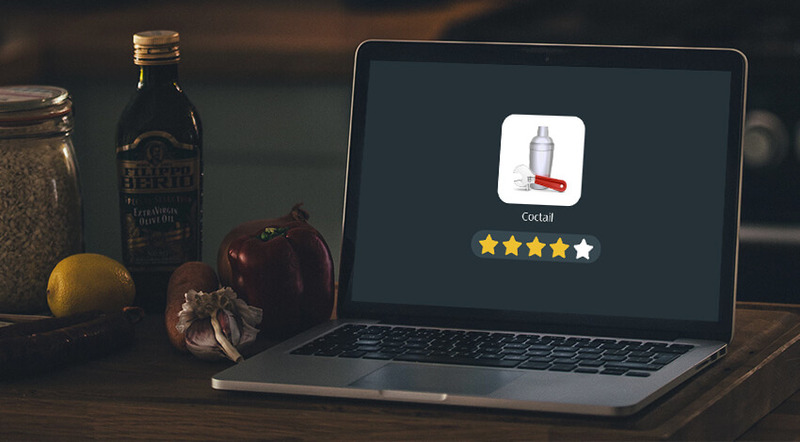 Based on the above Cocktail review for Mac, it is an intuitive and easy-to-use application for smooth Mac OS X maintenance. Developed by a trusted software company, using Cocktail rules out any security issues. Cocktail is effective as far as data elimination and system management are concerned. In spite of having a free ten-day trial, it has a relatively high license charge. With a plethora of options, Cocktail provides a lot of room for mistakes among inexperienced Mac users. Also, there is no option to recover the deleted files. Related Post: How to Remove Cocktail from Mac?